Gorgeous hair is not just the result of a trip to the salon or finding the right hair products. What you put into your body greatly influences how your hair grows out of it. Besides the soft curves of her body and softly featured face, a woman’s hair is the other prime asset in making her look distinctly ‘feminine’ and beautiful. Today there are a million ways you can alter your hair to fit your face and personality. How can your keep your hair healthy from the inside, and able to withstand the stresses of the sun, dry and polluted air, styling, and coloring? A woman’s health shows in her hair, and there is nutritional help available in the effort to improve the hair’s condition and resilience. Vitamin A produces healthy sebum, the oily substance that helps to protect and waterproof hair and skin, and prevent dryness or brittleness. Vitamin C protects from free-radical damage, and assists collagen production for a healthy scalp. Vitamin E is an antioxidant that also enhances scalp circulation. Biotin helps produce keratin, your hair’s main constituent, which may prevent graying and loss of hair. Inositol keeps the follicles — the tiny factories in your scalp responsible for ongoing hair production — healthy. Vitamins B5 (pantothenic acid), B6 and B12 prevent hair loss and help melanin production, the substance that gives color to the hair. Magnesium and calcium are both essential for new hair growth. Potassium regulates circulation, which promotes hair growth. Manganese helps your hair grow faster. 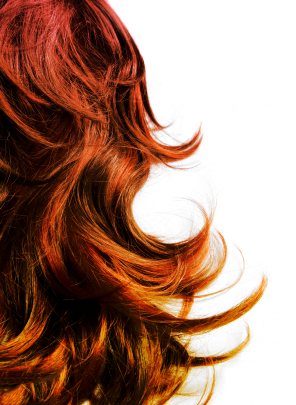 Chromium, copper, iodine and iron are all influential in prevention hair loss. Selenium keeps the skin and scalp supple and elastic. MSM is a natural source of sulfur, which is a main component of hair. Zinc keeps your hair in good shape (a deficiency can lead to dry hair). Many of these vitamins and minerals work together in the production of a healthy scalp and head of hair, and it’s easy to find supplemental combinations of the above nutrients designed to bring out the best in your crowning glory — because it is, after all, the crowning statement of women’s health!